Created in 2008, SEDI’s latest innovation, the Canadian Centre for Financial Literacy (CCFL) brings together the private, public and voluntary sectors to expand opportunities for low-income Canadians to increase their financial literacy. We are pleased to share the latest news on financial literacy in this second e-newsletter of the CCFL. 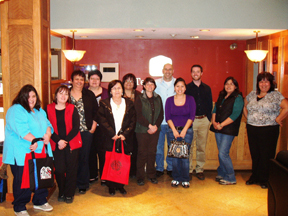 10 members of the Northwest Band Social Workers Association participated in a Centre train-the-trainer session in Terrace, British Columbia. The session, funded by Indian and Northern Affairs (INAC), aimed to increase the capacity of organizations in 9 reserves to deliver financial literacy supports to their clients. Training participants found the training valuable personally and professionally and believe that the modules on consumerism, debt, government benefits and budgeting would be the most relevant to the clients they serve. 15 community organizations serving newcomers in Toronto have increased their capacity to provide financial literacy support as a result of a Centre training session. Working Skills Centre hosted the 20 participants in March from organizations such as ACCES Employment, CultureLink Settlement Services and Polycultural Immigrant & Community Services who were trained to use the Centre’s financial literacy curriculum within their organizations and were provided with various techniques for delivering the material. Causeway Employment Centre in Ottawa hosted a train-the-trainer session with 12 people from 6 youth serving organizations in February. The training participants appreciated the interactive experience and enjoyed working in small groups on tasks to help strengthen their facilitation skills. It is expected that the majority of those trained will integrate the training into their programs and provide financial education to over 220 youth. The Centre is pleased to announce that ‘NewStart – Promoting entrepreneurship and financial literacy to newcomer youth in Ontario’ has been launched. The goal of the program is to raise newcomer youth and community organizations’ awareness of entrepreneurship and financial literacy as a means to achieving economic self-sufficiency. NewStart, funded by the Ministry of Small Business & Consumer Services, will target 5 newcomer youth serving organizations across Ontario. These five sites will host community forums and training of trainer workshops to build capacity in local community organizations. The project will reach over 50 trainers who will provide training to 750 newcomer youth across Ontario. If your organization is interested in participating in the training, please complete this expression of interest form. We will help connect you with a host organization near you. 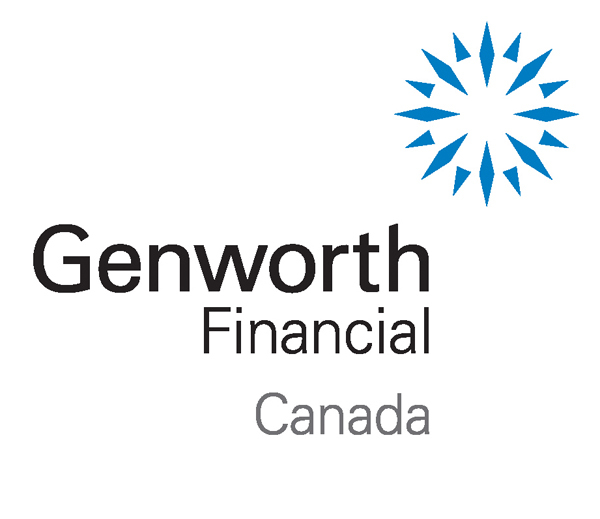 With the support of Genworth Financial Canada, the Centre has launched a project that aims to increase the financial well-being of young parents. There is growing concern that many young people lack financial knowledge and skills which increases their risk of living in poverty. Through this project, facilitator training sessions will be delivered in 3 communities across Canada serving low income young parents. Over 300 young parents will participate in money management training and with the support of staff will set a financial goal such as saving for their child’s future or to buy a home. To be considered to have the opportunity to participate in this project, please complete this expression of interest form. The province of Alberta has a strong interest in financial literacy and is investigating the possibility of developing a range of financial literacy products and services for Albertans. Canadian Conference on Financial Literacy Report highlights need to continue building innovative multi-sector partnerships to make financial literacy training available to all Canadians. To view report go to www.fcac-acfc.gc.ca. Visa and McDonald’s have announced a partnership to increase access to personal financial education for McDonald’s employees. Visa’s ‘Practical Money Skills for Life’ program has been tailored for use by over 500,000 McDonald’s employees in the United States. Employees are able to track expenses using a budgeting guide and have access to an instructional video and a web resource centre through http://www.practicalmoneyskills.com/mcdonalds/. McDonald’s also provides information to employees on credit and debt issues as well as financial planning through its Employee Assistance Program. ‘We were thrilled to see the positive relationship between the action oriented savings, asset building and financial literacy supports’ says Barbara Gosse, Director of Asset Building at SEDI. Through the project many participants reconnected with the mainstream banking system, increased their personal savings ability, money management knowledge and self-confidence. In addition, they were able to set goals and plan ahead with greater confidence and hope for their future. Casey Cosgrove, Director of the Canadian Center for Financial Literacy. 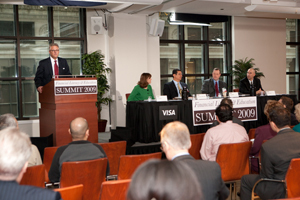 The Summit, hosted by the Federal Reserve Bank of Chicago and Visa Inc. on April 20th, brought international leaders together to discuss various approaches to financial education. Of special interest was the announcement that Visa would provide a free financial literacy program for all 35,000 City of Chicago municipal employees. To view the webcast, check out http://www.practicalmoneyskills.com/summit2009/. 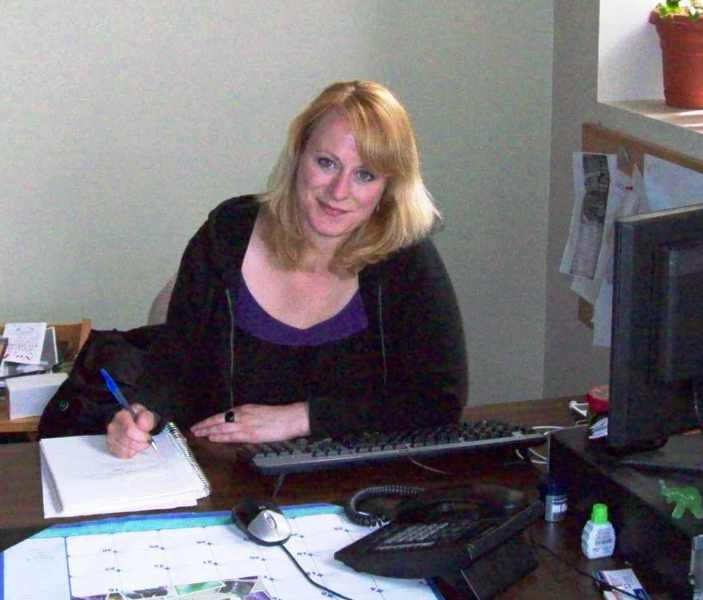 Myra Gillis loves her job. She has been working as a Facilitator in the ‘Solutions for Youth’ program at Causeway Work Centre in Ottawa for 2 years. Myra is committed to helping young people find meaningful work or return to school to follow their dreams. ‘Solutions for Youth’ is a pre-employment program that provides workshops on topics such as Goal Setting, Job Searching and Interview Techniques, Stress Management, Conflict Resolution and Self Esteem. Through her work, Myra has seen young people struggle with money management issues – cashing pay cheques through a payday lender and spending it all by the end of the day or using their whole pay cheque for one item, leaving no money for food or rent. The group exercise on savings - ‘finding the money’ – had a big impact on Myra’s clients. One young person first determined one third of his income was spent on his car and then realized he could not afford to pay rent as well as car payments. As a result, he changed his job search criteria and the timing of moving out of his parents’ home. Another client, after examining the items he most often purchases, was astounded to see how much money he spent on cigarettes. He is now trying to quit smoking. The Centre will be working with local organizations in more than 25 communities across Canada in the next six months who are interested in providing financial literacy supports to their clients. To be considered to have the opportunity to bring this to your community, please complete this expression of interest form.